It was an interesting day for the NASCAR Nationwide Series. Kyle Busch fails inspection then charges through the field within laps. Then Kyle Larson holds off Kevin Harvick and Kyle Busch in a nail-biting finish for his first NASCAR Nationwide Series win! We’ve got the recap videos you’ll want to see here. 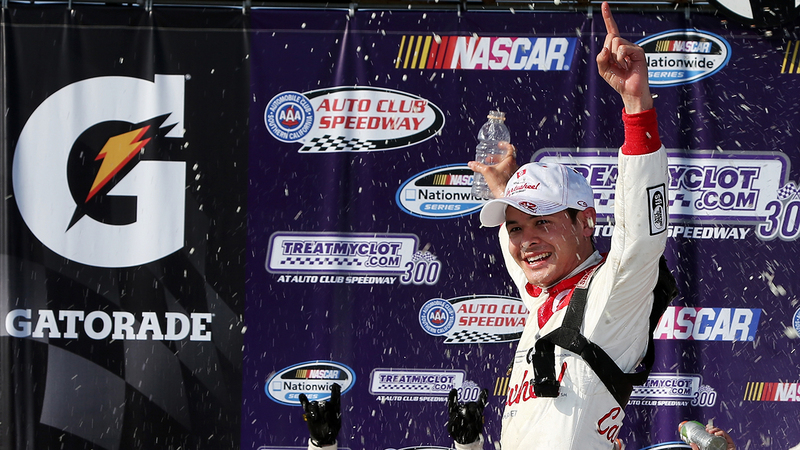 Kyle Larson fought for his first win in the NASCAR Nationwide Series today. Larson had some pretty awesome burnouts!